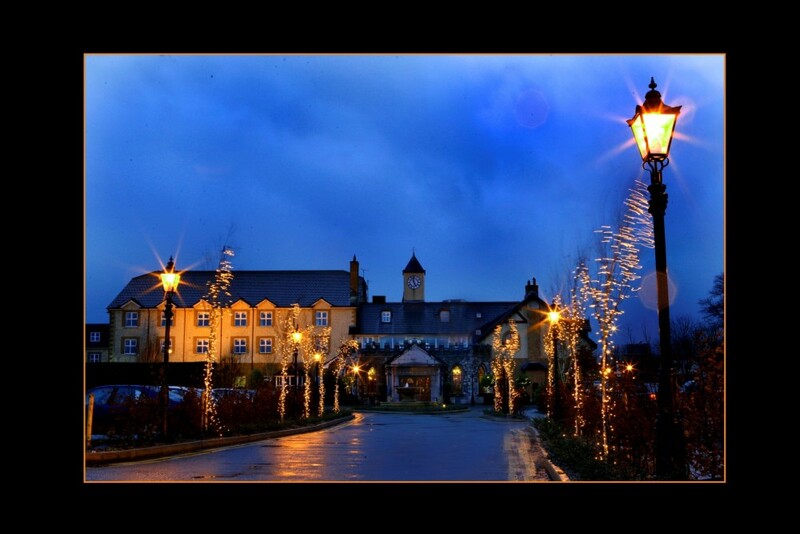 The Great National Abbey Court Hotel, Lodges & Trinity Leisure Spa is a family owned business, set within its own mature gardens on a five acre site on the edge of the historic, centrally located town of Nenagh. We are the mid-west of Ireland’s leading superior 3 star hotel with 4 star self-catering lodges, easily accessed just off the main M7 Dublin to Limerick Road, 90 minutes from Dublin and 25 minutes from Limerick. 500 car parking spaces. Nenagh is famed for its historic Heritage Centre, Franciscan Abbey, Friary Castle, Arts Centre, Local Crafts & Fresh Produce Markets, Woolen Mill, Award Winning Eateries and its stunning selection of Boutique Shops for both Men & Women. 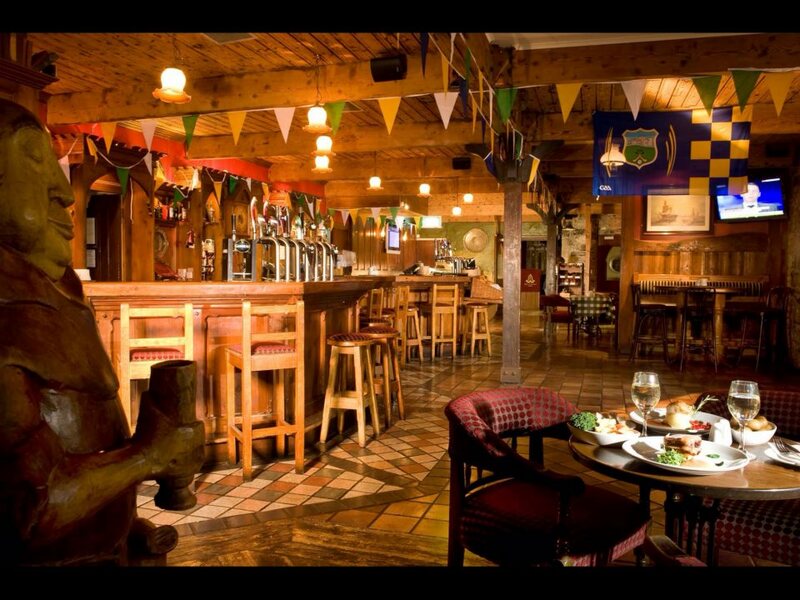 Only a few minutes away is the breath taking scenery of both the Arra and Silvermines Mountains with easily accessible viewing points and the popular waters of Lough Derg with its ample facilities such as boating, cruising, sailing, fishing and outdoor adventure centre. Other activities in the area include walking, hiking, biking, hunting, horse racing, greyhound racing, horse riding, golf and pitch and putt. From conferencing to a leisure break, family stay, wedding or other events, valued guests can enjoy superb facilities combined with a great base and the highest level of comfort and service. Our guestrooms are spacious, airy and elegant. Each room is ensuite, offering all modern facilities required by both business & leisure guests. 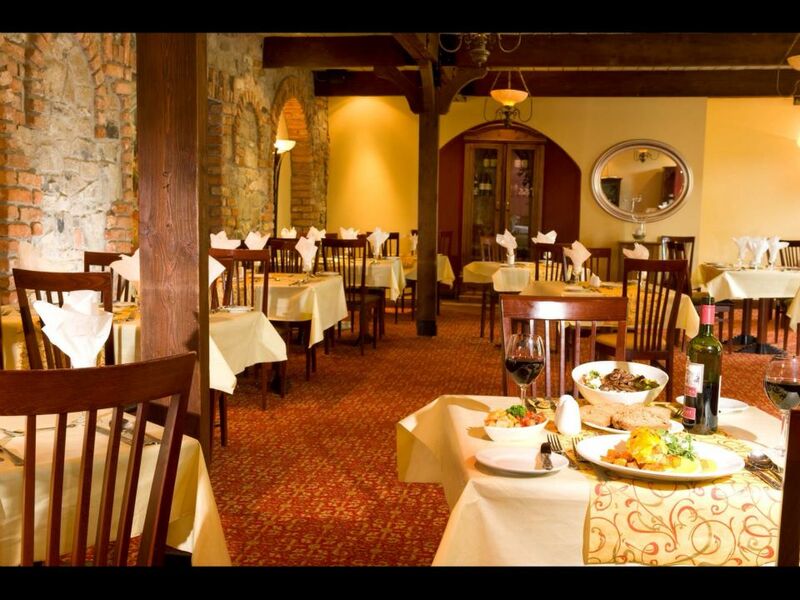 We offer an array of tempting Irish & European inspired dishes paired with delicious wines. 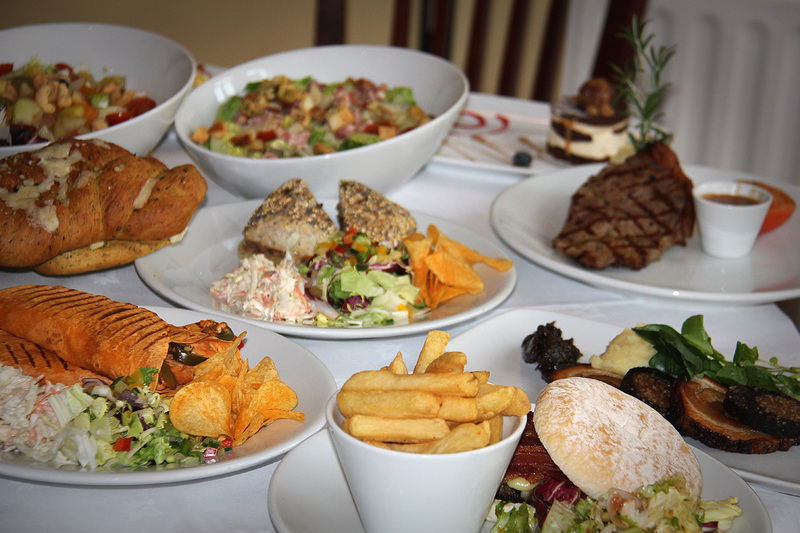 Guests can enjoy dining in the formal yet relaxing Abbots Steakhouse Restaurant or the more informal Abbots Bar. Breakfast, Brunch, Lunch, Snacks, Afternoon Tea, Evening Table D’Hôte and À La Carte Menus available. The Hotel is the ideal venue for your next conference, event or function. Catering and banqueting for weddings, celebrations, funerals or functions up to 330 guests and conferences for up to 450 delegates. All corporates catered for from meetings to team building exercises. We have 12 conferencing suites from 2- 450 capacity with a dedicated team to ensure that your event is successful and every detail is carried out to plan. We have been specialising in weddings for nearly 20 years. Our Baronial Hall takes up to 330 seated guests. Our dedicated wedding team are on hand to guide you through the whole process of organising your special day. Packages can be tailored to meet your specific requirements with special accommodation rates available. Enjoy a leisurely swim or a vigorous workout in the Trinity Leisure Spa. 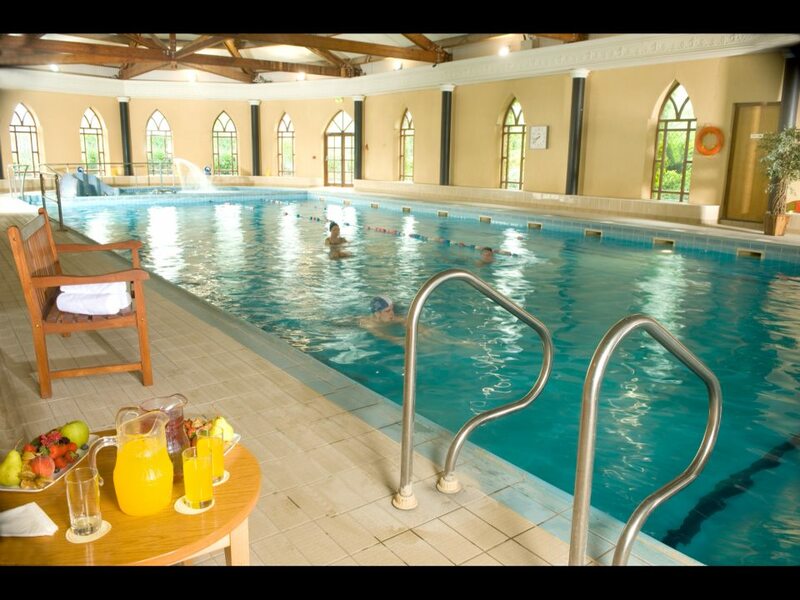 With a 20m swimming pool, children’s pool, largest hydrotherapy spa pool in Ireland, sauna, steam room & an extensively equipped gym, the leisure spa offers guests & members great facilities whatever their fitness level or workout requirements. After all that exertion, treat yourself in our onsite beauty spa with a variety of treatments where you can indulge yourself and retreat from the demands of the day or try out a “new hair do” in our hairdressing salon. We have 24 modern spacious lodges, located in the grounds of the Great National Abbey Court Hotel & Trinity Leisure Spa offering either 3, 5 or 8 bedrooms. These are available for short or long-term rental. Each luxurious lodge is designed to give a special living space, airy and bright, yet warm and comfortable. A home away from home. Furnished to a 4 star standard & fully equipped with all modern conveniences, guests can enjoy a separate lounge, kitchen/diner, downstairs bathroom, main bathroom and modern bedrooms with majority of them being ensuite. Dine or relax outdoors in the enclosed wooden-decked rear garden complete with garden furniture.